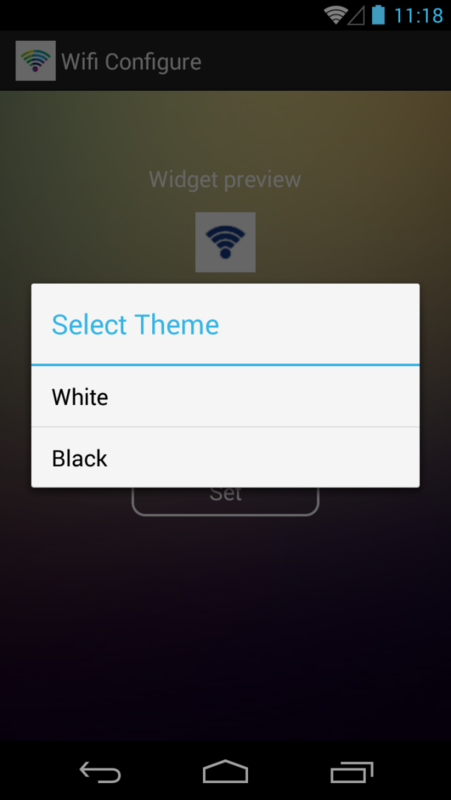 WiFi Toggle Widget is a simple home screen widget that toggles Wifi on/off very easily. 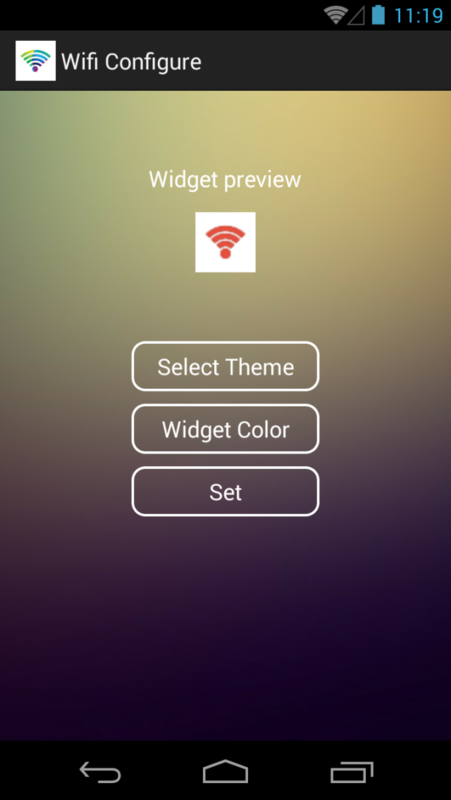 Widget Feature: - Simple WiFi toggle widget (1x1). - Select color as you wish. 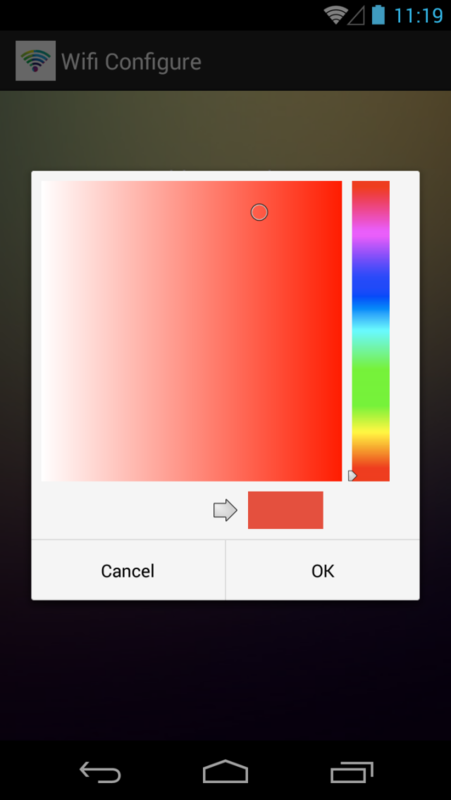 Color changes with state changes on the phone - when enabling or disabling. 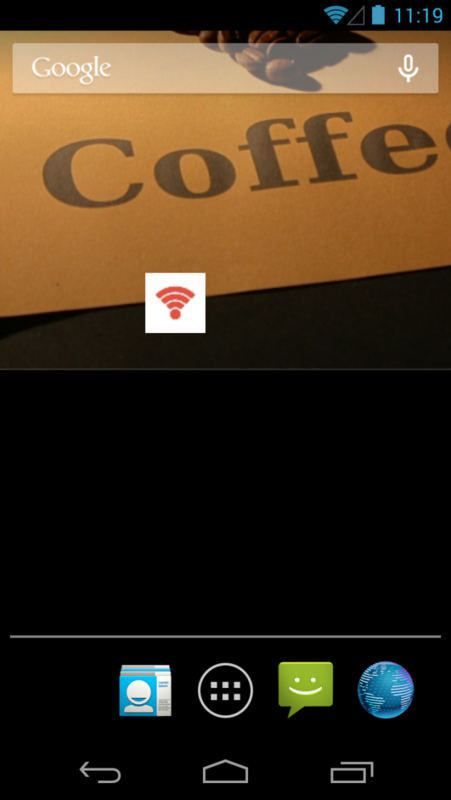 - Allows you On/Off your WiFi with only 1 click. *Note* If you are not able to update this widget, please exclude this widget from any task killer app that you might be using. You can also remove this widget from your homescreen and add it back again anytime. If you are having problems using the widget, please re-create widget on homescreen.